. Windy Dryden, BSc, DipPsych, MSc, PhD, C Psychol, is Professor of Counselling at Goldsmiths College, University of London. He is the editor or author of over 125 books in the area of counselling and psychotherapy. His primary interests are rational emotive behaviour therapy and disseminating its theory and techniques to the general public, through writing short, accessible, self-help books. 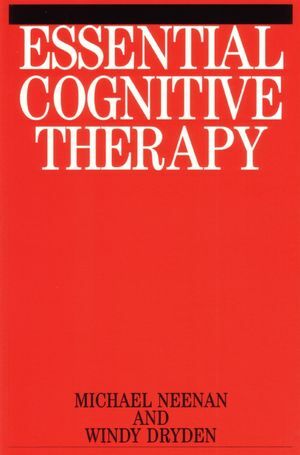 An Outline of Cognitive Therapy. Assessment and Socialization Into ct.
Eliciting and Examining Negative Automatic Thoughts. Identifying and Examining Underlying Assumptions and Core Beliefs. Tackling Client and therapist Difficulties With CT.